Things You Should Follow To Be A Mobile App Developer? Home > Gadgets Software and Apps > Things You Should Follow To Be A Mobile App Developer? If you are a mobile apps developer or want to be then I would say you don’t need to worry about your future career. An analysis says that within 2015, up to 2.6 billion peoples will use smartphone and 1.5 billion peoples will use tablets. Really its huge amount and for this huge demand of portable device people will also demand for various types of mobile apps. 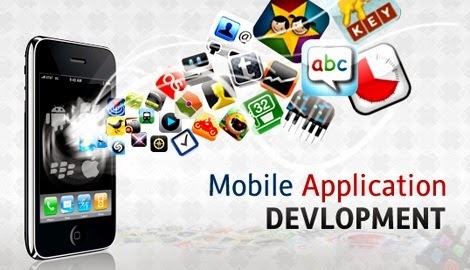 If you want to take mobile app developing as your future career then it’s the correct time. Remember, along with educational degree you also must have to a creative brain to get smart apps ideas. Okay! Now let’s see what certain elements should be followed to be a mobile app developer. To be a mobile apps developer the first and foremost thing is you must study in computer science and engineering. It helps to prepare your career to any technological niche. For any computer related work, CSE or software engineer educational background is mandatory. Try on try makes a thing perfect. It’s totally a true phrase. Look at me; from the beginning till now I have done everything without having any professional training. It’s happened to me only for my thirst on Blogging and SEO. So improve your skills and make something that you can say “I have created this” After done one project I am sure you will get lots of inspirations from your heart and this will let you go to works with more experienced and best apps developers. Remember, everything stars from simple and ends to superior. After making an app successfully and you are ensure to earn from your stuff then make a developing plan to go ahead one step. I am sure you will find lots of trusted laws and formulas for your future creation. Make a team and collect more important data to make your app updates more feature-able and beneficial. If possible make a website as your own mobile store to free download your open source software, connectivity software like pc suite, bluetooth software, games etc. And beside of some free apps you can sell your premium applications. It is important to maintain a frequent log file for your projects. In your log file can store your updates, processes, developments and some more sensitive information. This strategy will help you to get organized and stay in a system. Also recommend your team members to follow a systematic log or follow your directions. After all Discipline makes anything perfect. Actually a mobile app developer’s success depends on the worldwide users. If peoples like your created apps then you are the man. Therefore, it is also important to be aware of market trends and demands. Never publish any apps without researching market; otherwise your reputation will drop in the high competition market. At last, I am wishing to happy start your career as a mobile app or iOS developer to live a happy life. Stay healthy and cheerful. Allah Hafez!